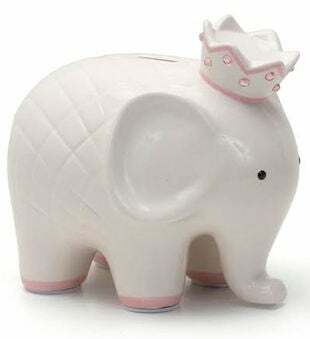 Coco Elephant Bank. This item is pre-painted with the design glazed into the piggy bank. Changes within the design cannot be made. If the artist is requested to change the design the style will differ. Name will only appear on one side of the bank.